1.First Download Mobikwik App ,if already have mobikwik installed then skip it. 4.Enter Coupon : SMILE20 Under "I HAVE PROMO CODE" field. 5.Pay the amount you will get 20% cashback in your mobikwik wallet. 1.Offer is only for new users and valid one time per user. 2.Minimum Recharge amount should be Rs 200.Maximum Cashback is Rs 100. 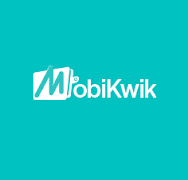 1.Create New Account in Mobikwik. 2.Initiate Adding Money in your account. 4.You will get 10% Mobikwik Cashback After Successful Adding Money. 5.Offer applicable only for new users. 2.Initiate a recharge of Rs 50 or More. 4.Enter Coupon : NEW50 Under "I HAVE PROMO CODE" field. 5.Pay the amount you will get 100% cashback (Rs 50) in your mobikwik wallet.